The sheer number of consecutive spectacular beaches in Saranda is astounding. From emerald green and turquoise to ultramarine, indigo blue and every shade in between, many locals find it especially difficult to pick a favorite. This topic causes many debates among Albanian friends and families! The positive side is that there is a beach for everyone’s tastes and preferences. 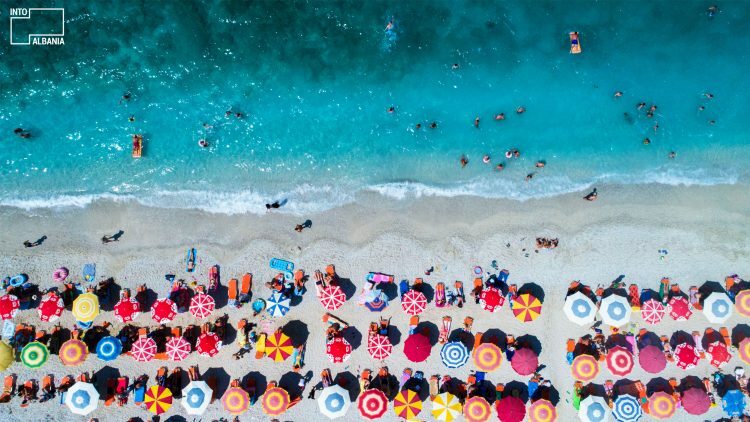 The largest coastal city in Albania and, many would argue the most beautiful, includes many public and private beaches, the latter available to everyone for a small daily fee. Indeed, though Saranda is a truly cosmopolitan city, it owes its particular appeal to its seemingly infinite coast, with beaches appearing one after the other as if by magic, as you make your way to the beautiful ancient city of Butrint. One of the most popular beaches of the Albanian Riviera is Monastery’s Beach. It takes its name from the St. George Monastery (Manastiri i Shën Gjergjit), on the hill looking over the beach. As you climb down from the Monastery (which is definitely worth visiting while you are here! ), the beach appears as if in a dream and the dream becomes more real as you approach the seashore. Entirely enclosed and isolated from all sides, the beach is itself a sort of monastery, an ideal place for meditation. Last but not least, there are some small makeshift springboards by the sea which you can use to dive and splash around to your heart’s content. With small bars and restaurant around, you can spend the entire day here and enjoy the vibrant sunsets! How to get there: Saranda – Butrint road. For the map click here. As its name suggests, the sheer reflection of the sun on the surrounding cliff sides and the sparkling sea combine to have an overall magical effect in this beach. It is, without a shadow of a doubt, one of the most beautiful beaches of the Albanian Riviera. Just take a look at hundreds of reviews published every summer at Tripadvisor, where you will see everyone praising this wonderfully rare place. 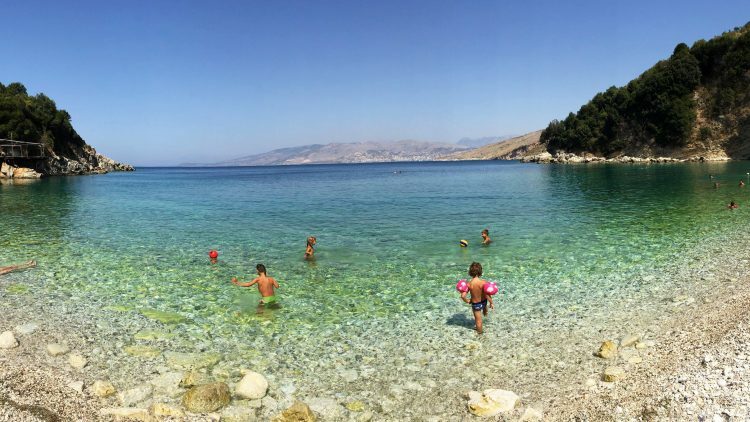 Quite popular, this especially spacious beach is a favorite among Saranda’s locals, who are the true beach experts around these parts! How to get there: Saranda – Butrinti road. For the map click here. To ensure you find a free beach chair and umbrella, you should get to Seagull’s Beach as early as possible! 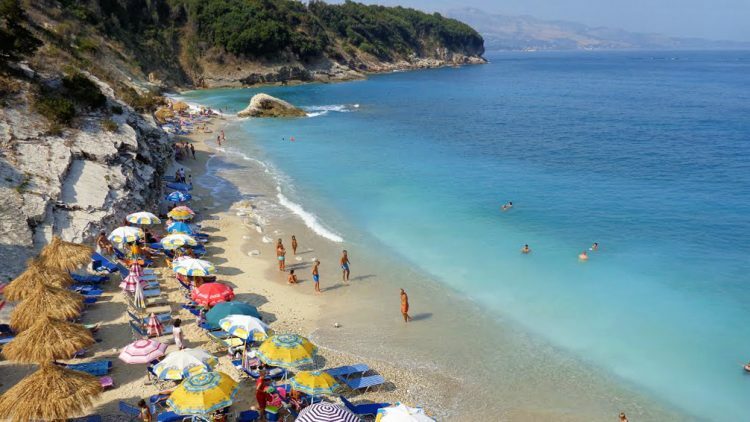 During the busy summer season, this is one of the most visited beaches in Saranda. Don’t worry you night owls who cannot wake up early in the morning! There’s always the option of placing your own personal umbrella at the beach. Surrounded by small cliffs, this place is fairly intimate. You will easily find a nice cafe or restaurant where you can enjoy some delicious seafood under the shade and sea breeze. Beautifully concluding the Albanian Riviera is the village of Ksamil, which happens to be one of the best surprises Albanian tourism has to offer. 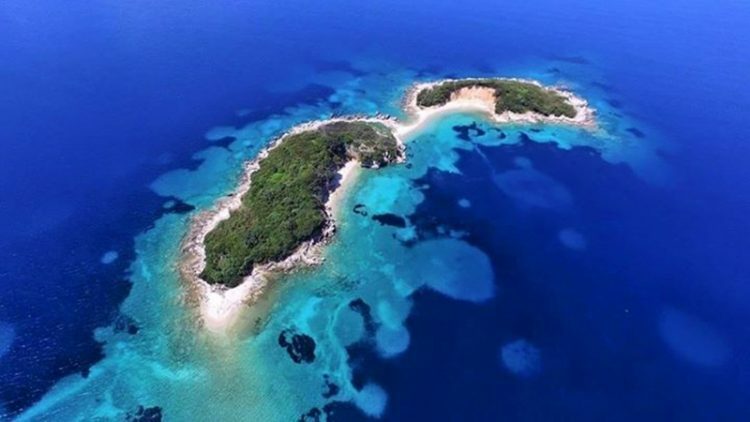 Thanks to the especially clear and brisk waters of the famous islands of Ksamil, and the proximity to the ancient city of Butrint, a UNESCO Heritage Site, this place has attracted the special attention of international media which have listed it as one of the European Southern Destinations you should not miss. There are a total of four spectacular islands in Ksamil. The most famous ones are the Twin Islands, which are connected to one another via a narrow sand belt. However, they have their own specific beauty and charm and are all definitely worth visiting and all are easily reachable from shore! The perfect tranquility and dense greenery of these islands resemble a tropical paradise which you won’t want to leave! Here, you can go canoeing, diving, or book a boat trip. The delicious seafood dishes served in the numerous restaurants of Ksamil, and the tasty cocktails, which can be enjoyed under the sun, are some more reasons why you will thoroughly enjoy your time here. Public Transportation: All the above mentioned beaches can be reached by public transportation. The point of departure is the Mother Teresa Square in Saranda (Sheshi Nënë Tereza). The trip takes about 20-30 minutes and costs 100 lekë. The stops are made according to the passengers’ requests. Make sure to notify the bus driver of your preferred stop when you enter the bus and ask him for the daily schedule of the return trips, as well.